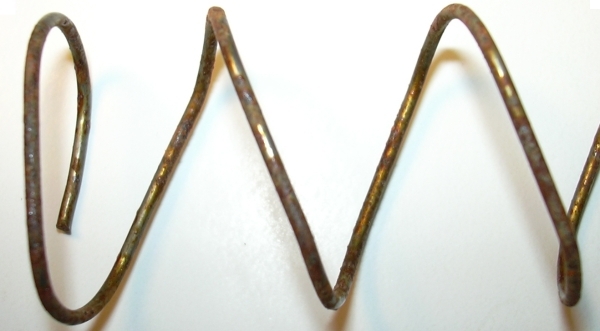 What follows is quick demonstration of how various magazine spring materials behave when exposed to the elements. This isn't intended to be a scientific study, nor is it intended to provide any quantitative data. It is intended to give the lay person insight regarding how quickly (or slowly) spring wire is affected by elements in the field. This demonstration was done in two stages. 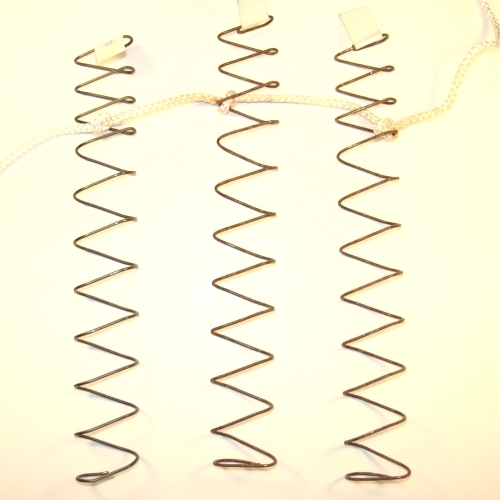 In the first stage, several springs were exposed the weather for a week to show how they would respond. 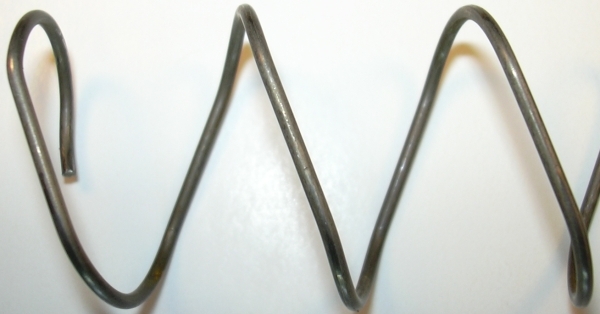 Brand-new springs from several large-name manufactures were purchased, labeled, and connected together via a nylon cord. The purpose the cord was to make prevent wind from scattering the experiment and to ensure none of the springs were lost. After a week of being left outside, none of the springs were too bad off. 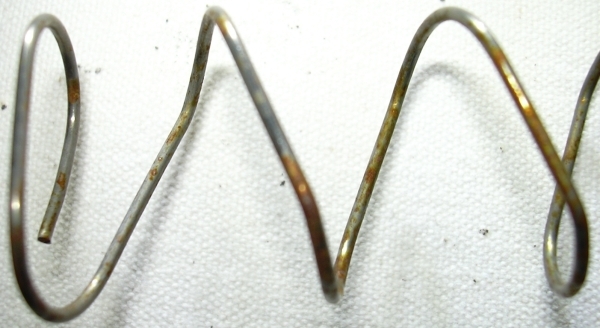 However, the two non-stainless springs both showed some surface rust and pitting which could cause cracks to start to form. The average temperature during the week was around 35F. The corrosion would have been more pronounced in warmer weather. For the second part of the demonstration the springs were dipped in a 3.5% salt water solution (roughly equivalent to sea water) and returned outside for another week. The dipping was to simulate accidentally exposing a magazine to sea water rather than actually soaking a magazine in sea water which would be an unrealistically harsh test. The temperature averaged about 30F degrees. 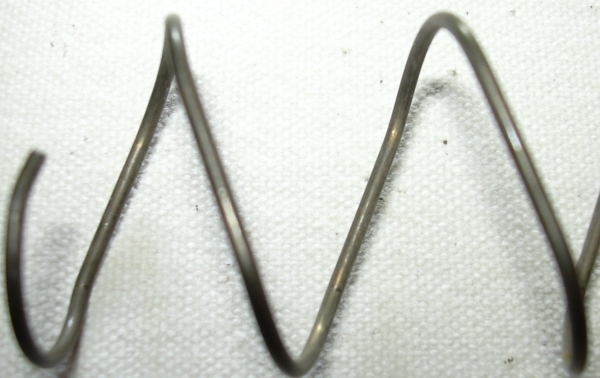 As you can see there is a huge difference in how stainless and non-stainless steel springs tolerate environmental exposure. Again this was not a scientific test, but rather a simple demonstration of how differently various materials react to harsh environments. The lesson here is to take care of your gear and keep on top of maintenance.